There are very few things that make me happier than preparing for and going on vacation. Saturday morning at "o'dark thirty" (as Dad would say) we are meeting at DIA to go on our next adventure. 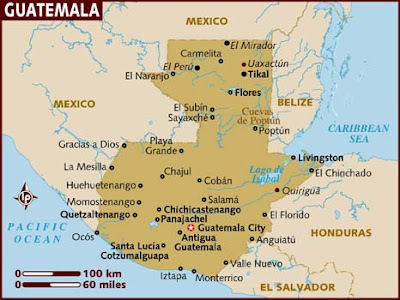 Fifty highschool youth and twelve intrepid sponsors will head for Salamá via a tight connection in Houston to Guatemala City. After a night in the city we will go by bus up into the mountains to work with Habitat for most of the week and then head to Antigua for the last 2 days. Sunday morning I rode in the Elephant Rock cycling festival for the first time. We rode the "third century" (34 miles). It was hot and hilly and good practice for the Bike MS, especially since my vacation will take up the last two weekends before the MS. After recovering with a shower and a nap, we wrapped up the day with the first City Park Jazz concert of the season. An even better discovery? The Denver Cupcake Truck. So the summer fun count continues with #9 Elephant Rock, #10 Jazz in the Park with Cupcakes, and #11 Heather's birthday celebration last night at Dave & Busters. Today my sister got a new phone, the Droid, and is choosing the trial and error method of figuring things out rather than looking at the manual. The most profound statement: "I found the weather in Aurora but I can't hang up my phone!" Saddle up your horses, we've got a trail to blaze. . . through the wild blue yonder of God's amazing grace! Let's get this party started!!!!! So excited you are coming. Your energy and enthusiasm is contagious. See you on Friday for our pre-departure meeting!